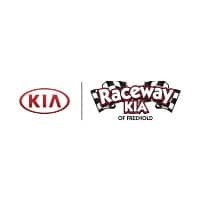 Welcome to Raceway Kia of Freehold! Raceway Kia is proud to be under new ownership and management and serving the people of Monmouth County, NJ with unparalleled customer service and we are committed to providing a auto shopping experience that is superior to anything you have ever experienced! We are currently run and operated by a fourth generation automobile dealer and we have eight auto dealerships in PA and NJ. We believe in transparency and going above and beyond for our customers both before, during, and after the sale process is finalized. We know that it is not how many cars we sell that matters, but more importantly how many customers we continue taking care of! We are proud to be a part of the #1 Kia Dealer Group in the Northeast and also a part of the #1 CSI Kia Dealer in the Country as by Kia Motors America (2017). We have Kia Certified Trained Technicians that are always ready to make sure your vehicle is safe and ready for the road, no matter what the situation may be. We look forward to earning your business and we are here for all of the NJ people who are interested in owning or servicing their Kia. We invite you in for a fresh cup of gourmet coffee or to enjoy a pastry!